The Gray Lady is a Victorian inspired double-storey townhouse. 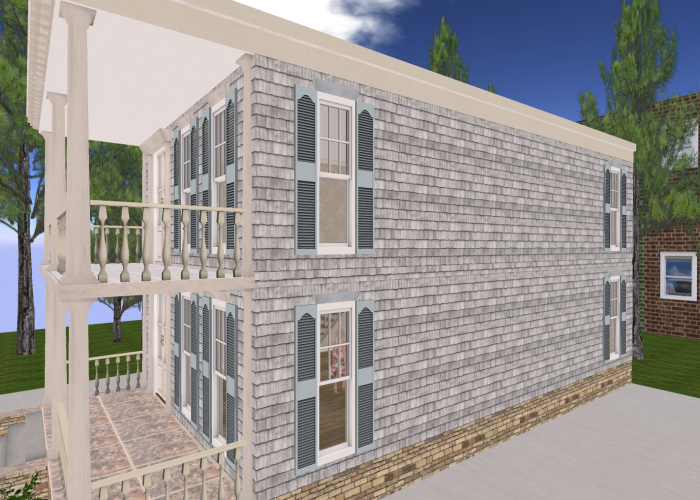 It has 2 bedrooms on the upper floor and as you can see in the picture above, double verandah and long narrow shuttered windows. 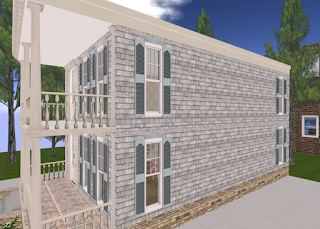 The house is narrow, 9.2 wide and 21.2 long. 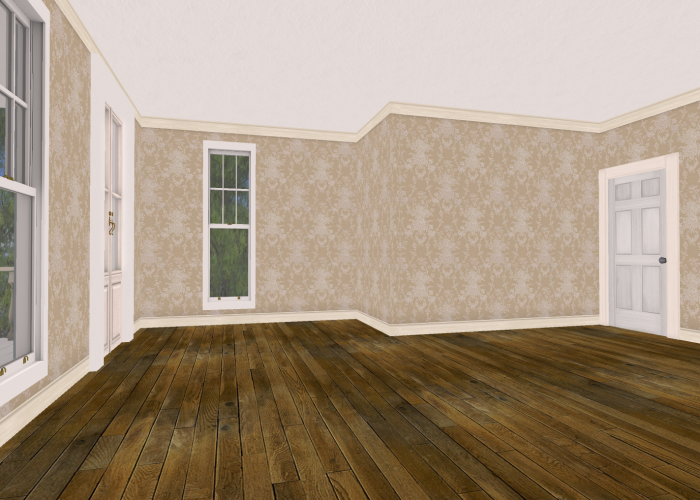 Upper floor landing to the 2 bedrooms. 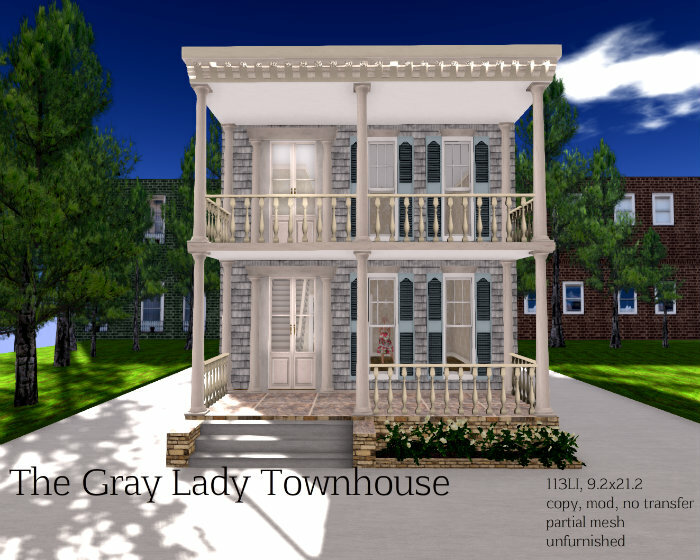 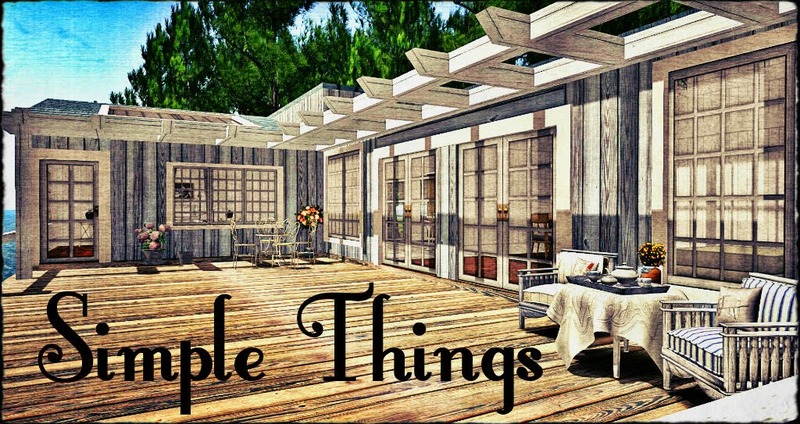 The Gray Lady Townhouse is now available for 189L at my in-world store and the Marketplace. 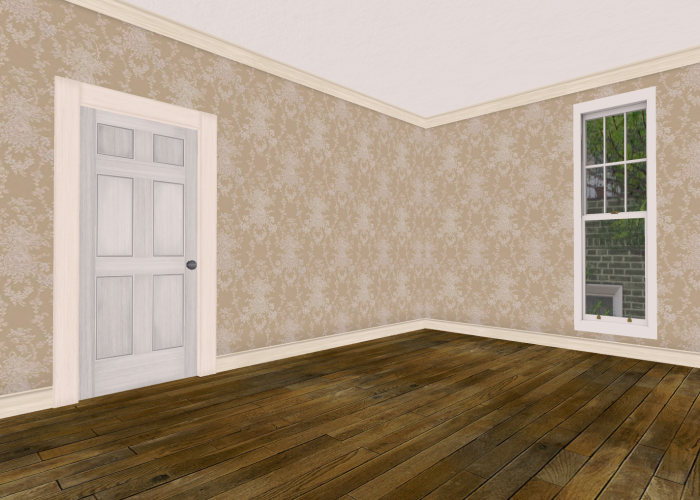 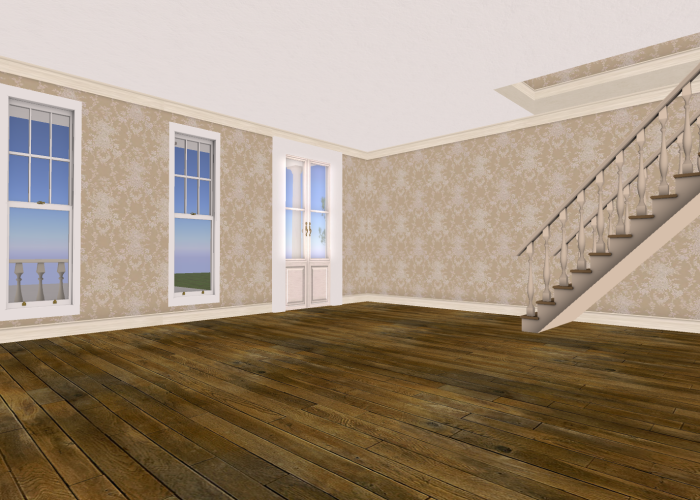 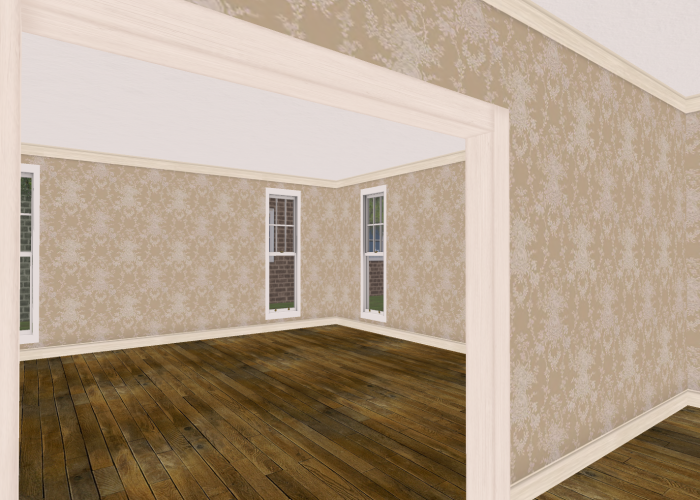 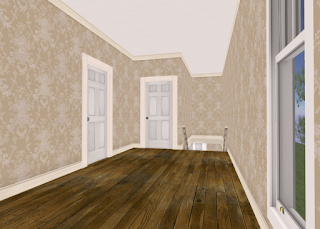 Demo of the house is available for viewing at my in-world store.